Thanks to those who attended the 2019 Conference. Keep your eyes open for next year. To access Dr. Sara del Campo de Gonzalez’s Keynote presentation, click here. The theme of this year’s conference, “Beyond Labels: Envisioning the Strong, Competent Child,” addressed many of the challenges that the field of early childhood faces. 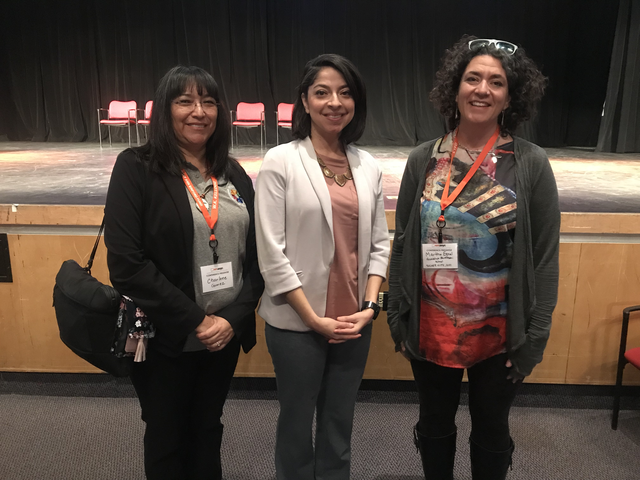 New Mexico is seeing an increase in the number of children who exhibit challenging behaviors caused by trauma experienced early in life and that challenge early childhood professionals. Regardless of these challenges, educators and other professionals must keep the strong and competent image of the child in mind– that is, believe that all children have the capability of persevering, if provided love, patience, and support. But educators and other professionals, themselves, also need support. They need the skills and knowledge to accommodate children where they are in life and to move them forward to a better tomorrow. Keynote speaker Dr. Sara del Campo de Gonzalez, from UNM’s Young Children’s Health Center, helped us see the strong, competent child and provide us the much needed knowledge to support both the young children who have experienced trauma, and the educators and professionals who care for them. In her keynote presentation, “Only in the Darkness Can You See the Stars: A Strengths-Based Approach to Trauma-Informed Care,” Dr. del Campo de Gonzalez presented current practices and research, and provided practical solutions for educators and professionals as they provide children and their families an opportunity to heal and realize their potential. In addition, on Friday, there were five amazing all-day sessions addressing not only trauma-informed care, but presenting an array of topics that supported educators and other professionals in improving their practice. We also had a lineup of fun activities for participants: Our second annual NMAEYC & STEMscopes Networking Social right after the Friday sessions offered an opportunity to network with ECE leaders across New Mexico. Our exhibit hall had entertainment, food, and ample opportunities to shop for the latest educational materials. We hope that you consider attending next year!